Electric or automatic gates should be installed, maintained, and repaired by certified installers to ensure that they continue to function properly while retaining their eye-pleasing appearance. The best electric gate installation Los Angeles by skilled installers of GateForLess will not only add to security, privacy and convenience but it will also raise the aesthetic value of your property. GateForLess will help you maintain all your electric gates and make sure they work smoothly for years to come. Automatic or electric gates are prone to some common problems that lead to systematic repair and maintenance issues that may have an adverse effect on the privacy, safety, and security of the homeowners and their family members. These complex issues can be resolved pretty quickly if the homeowners hire the experienced and certified automatic gate installer in Los Angeles from GateForLess. Some of the most common gate repairs for gated residential properties in Los Angeles are briefly discussed in this blog. One of the most common issues that gated residential properties in the LA face is related to the gate opener. The chances are high that the opener will start working again if you replace the batteries of the gate. You can always call professionals for help if it doesn’t work. The repair work can be done quickly and does not involve huge costs when you hire the right Los Angeles Electric Gate Openers Installation and repair company. 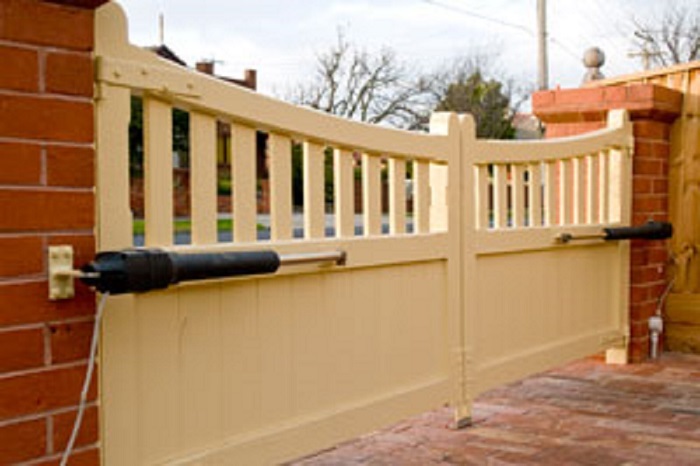 Hiring professional gate installation and repair organization streamlines the repairing process and does not require much intervention from the community management. Technicians from GateForLess inform the homeowners about the importance of keeping the metal track of the automatic main gates clean from dirt, grease, and other particles. The gate will get jammed if the metal tracks on which the gate rolls on or slides onto is clogged, which can be caused by the misalignment of tracks. It is important to clean the metal track of the automatic gates on a regular basis. You need the professional intervention by experienced installers and technicians to align the tracks to their original position. Due to the limit switch nit failing to hit the switch the designed time, your automatic gate will not stop where it is supposed to. Hiring installers and technicians from GateForLess are the best solution if putting the lever holding of automatic gates in its correct place doesn’t fix this problem. Please fill up the form and a rperesentitve will get back to you soon.